I don’t get it! 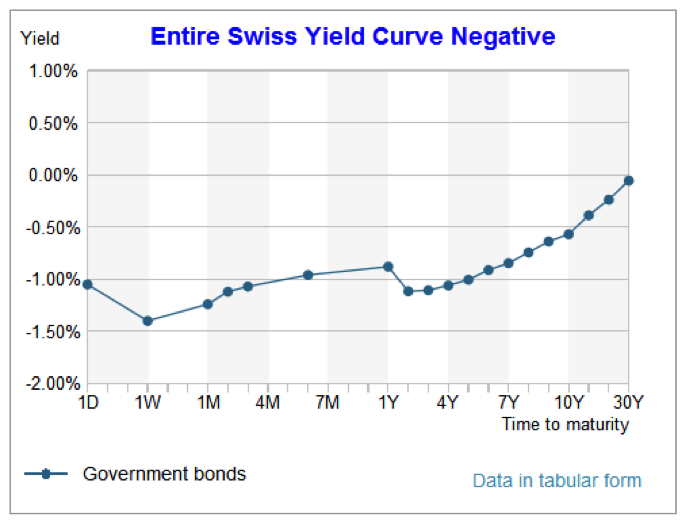 I turned on my computer after a nice holiday weekend and was greeted with several headlines proclaiming: “Swiss bond yields now negative out to 50 years”. Why would any sane individual buy one of these bonds personally or for their company? Whether it is 20-30 or 50 years, I find the concept unfathomable. Your money is probably safe from default. 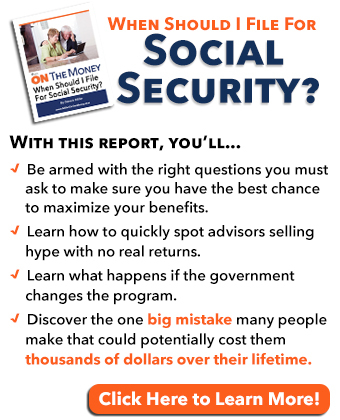 Instead of receiving interest, you will pay the government $1,260/year to hold your money. If you want to liquidate before maturity you will have to do so in the aftermarket – and likely take a loss. You have the potential to lose significant buying power to inflation. I went to our handy inflation calculator. If you bought one of these bonds 30 years ago, how much buying power would you have lost to inflation? Your loss would have been around 55% due to inflation. Had you bought a similar bond 50 years ago you would end up with a jaw-dropping 87% loss in buying power. 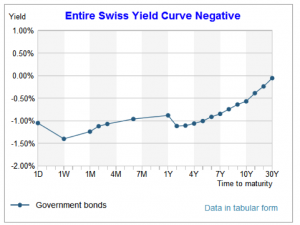 Does the Swiss Franc offer better inflation protection? In 1999 the Swiss people voted to remove their currency from the Gold Standard, and reaffirmed the decision in a 2014 vote. “… Unfortunately, the Swiss people were highly influenced by a massive propaganda effort on the part of their government, [and] their central bank. (O)verlooked …was the fact that up until 1999, the Swiss had better than 40% of their reserves in gold. … (The) Swiss economy was prosperous. It was the envy of the world when the Swiss franc …was the last currency still backed by gold, which made it the last legitimate currency on the planet earth. Governments and central banks of the world are hell-bent on inflating their currencies believing it makes their exports more competitive. Every currency issued by these “print whatever it takes” countries faces a significant risk of a major loss in buying power due to inflation. Could negative rates come to the US? Politicians love negative interest rates! In essence it is imposing a voluntary tax on the wealthy – without them being held accountable. Don’t volunteer! Bonds issued by a stable government are deemed “safe from default” – you can be fairly confident your money will be returned at maturity. Negative yield erodes your wealth every day. At maturity you may lose a good deal of buying power to inflation – a very high risk. The old saying, “I’m not trying to get rich; but rather just trying to keep from getting poor” rings true. 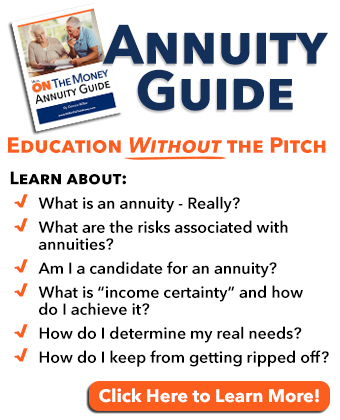 Governments and central banks have made it impossible for pension funds, annuities and individual investors to find high quality (safe from default), decent yielding debt instruments. Good paying CD’s and top quality bonds no longer exist. Corporate earnings are not growing. The stock market is at an all time high. Safe, good yielding fixed income investments are impossible to find. Junk bonds increase the risk of default. The Fed’s stated goal is to increase inflation. It’s quite a challenge to navigate that mine field safely and generate reasonable returns. 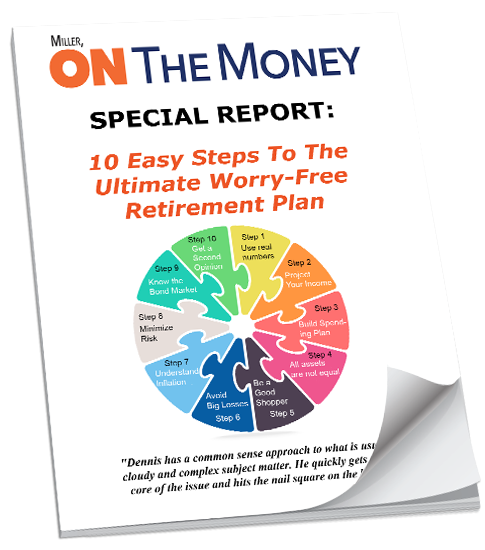 Unlike former TV character Maxwell Smart, seniors and savers have no choice but to accept the assignment and proceed with caution in order to survive. Diversification is a must. One investment may provide income while another offers insurance against high inflation. Diversification may limit your upside; but will also reduce the potential for catastrophic losses. When I mention gold to friends, many respond, “Gold is too risky.” They often combine risky gold mining stocks with the idea of owning physical metal. Mining stocks have great upside potential. Investors have made spectacular gains in the mining sector but they also have the potential to go to zero. 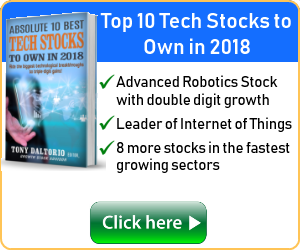 Finding the right stock is like finding a needle in a haystack. They are high-risk and a few become high-reward. What about physical metal or exchange traded funds (ETFs) backed by metal? 1. If you own physical metal, you run the risk of theft – be careful. 2. If you store metal in a public vault, you will pay storage charges. You pay others for safeguarding your wealth. 3. You will pay fund fees when holding gold-back ETF’s. 4. There are transaction fees for buying and selling. 1. Gold has never gone to zero. 3. Unlike paper money, gold is not a debt obligation of any government. 4. It has potential to combat inflation. Let’s look back 30 years and see how gold performed against inflation. USA Gold tells us on 12/31/85 gold closed at $326.80/oz. $1 million would have bought 3,059 oz. of gold. On 7/4/2016 gold closed at $1,350.73. The 3,059 oz. would be worth $4,131,883, a 313% increase. The inflation calculator determined $1 million would have to be worth $2,191,934 to hold its buying power over the 30-year period. Had the investor bought gold his buying power would have increased $1,939,949 more than the inflation rate. The spread is HUGE; instead of losing almost $550,000 to inflation, your buying power would have increased by over $1.9 million! While past performance does not guarantee future results, remember the stated goal of the Federal Reserve to create 2% inflation annually. The likelihood of 30 years of deflation is slim. Owning gold is buying insurance against inflation – trying to avoid a catastrophic loss in buying power. Gold does not generate income; you need other type investments to carry that load. Many feel 10-15% of your portfolio is adequate. Whatever amount you choose, buy the gold, hold it and hope to pass it down to the next generation. I prefer 1 oz. gold coins. They are easily bought and transportable. Find a good dealer and be a good shopper. 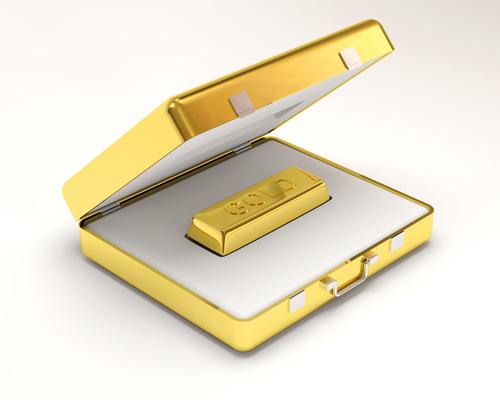 Many investors with larger positions buy gold bars and store them. My favorite gold ETF is Sprott Physical Gold (PHYS). 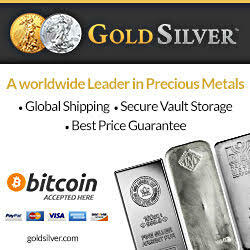 They have deposited a fixed amount of gold in a secure vault and issued a fixed amount of shares. The share price fluctuates based on demand. SPDR Gold Shares (GLD) is a large ETF reporting movements in and out of their warehouse constantly. I feel PHYS is safer. Why buy negative interest rate bonds when gold offers great inflation protection? While gold has no yield, it is better than negative yield. Even today, the stock market still offers good quality companies paying decent dividends? Investments that combat inflation, minimize default potential and still provide safe income are components of a well-diversified portfolio. Much like Colonel Sanders’ recipe of herbs and spices; mix them together properly and you have a winner! and excellent. I read it six days a week. Last weekend we went to a baseball tournament in Poseyville, IN, a small Indiana farming community. 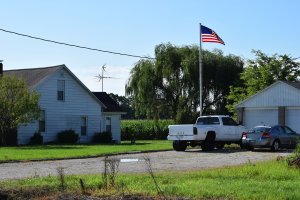 As we meandered between fields of beautiful green corn and soybeans I noticed that most of the farms are flying the American flag. I stopped and snapped a photo. This is pretty typical. 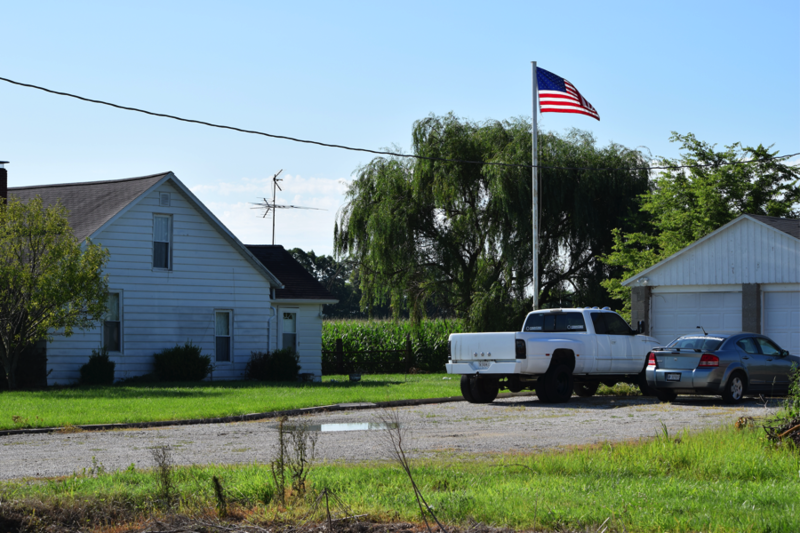 The house needs a coat of paint, TV antenna on the roof, pickup truck in the yard, several acres of “bumper crop” corn in the background and a beautiful American flag waving from a pole that towers over the roof of the house. Bib overalls and “Larry the Cable Guy” clothing are common at the local diner. While Hollywood likes to portray these folks as “Gomer Pyle” type characters, don’t be fooled! Listen in on the conversations. They talk about the futures markets, amortizing the cost of farm machinery, world events and politics. I believe rural Americans are very concerned about the upcoming elections. They are engaged! I hope they continue to entertain the world for another century.